With her bestsellers Longitude and Galileo's Daughter, Dava Sobel introduced readers to her rare gift for weaving complex scientific concepts into a compelling narrative. Now Sobel brings her full talents to bear on what is perhaps her most ambitious topic to date-the planets of our solar system. Sobel explores the origins and oddities of the planets through the lens of popular culture, from astrology, mythology, and science fiction to art, music, poetry, biography, and history. Written in her characteristically graceful prose, The Planets is a stunningly original celebration of our solar system and offers a distinctive view of our place in the universe. "[The Planets] lets us fall in love with the heavens all over again." "Playful . . . lyrical . . . a guided tour so imaginative that we forget we're being educated as we're being entertained." 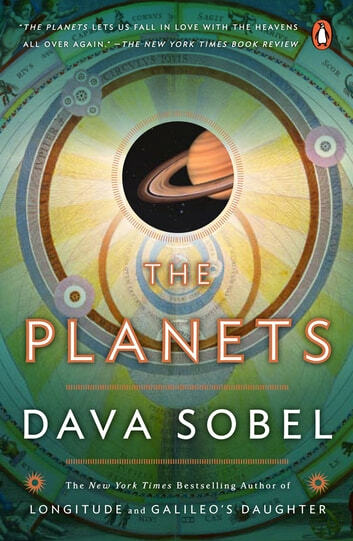 " [Sobel] has outdone her extraordinary talent for keeping readers enthralled. . . . Longitude and Galileo's Daughter were exciting enough, but The Planets has a charm of its own . . . . A splendid and enticing book." "A sublime journey. [Sobel's] writing . . . is as bright as the sun and its thinking as star-studded as the cosmos." "An incantatory serenade to the Solar System. Grade A-"
"Like Sobel's [Longitude and Galileo's Daughter] . 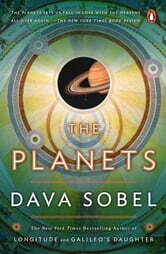 . . [The Planets] combines masterful storytelling with clear, engaging explanations of the essential scientific facts."